The Circuit, a coworking space powered by Fresh Start Cherokee in partnership with the Cherokee Office of Economic Development, hosts a monthly lunch to cultivate a community of entrepreneurs. In celebration of the year’s most popular wedding month, the program hosted Lee Lusk, CEO of The Wheeler House, for September’s gathering. The premier North Georgia venue booked its first wedding in 2011 and quickly became a fixture of the Ball Ground community. 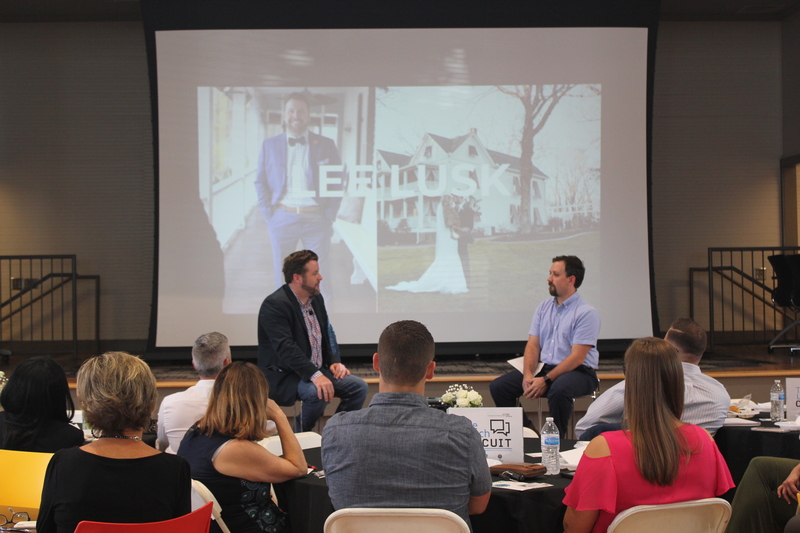 Lusk shared his journey of purchasing and renovating the venue and a few lessons he learned along the way with the Lunch Circuit audience and program host Jonathan Chambers, Community Manager of Entrepreneurship at COED.